dam111 Biographical data of the Mayor and Municipal councillors is specified. dam112 The email addresses of the Mayor and the municipal councillors are specified. 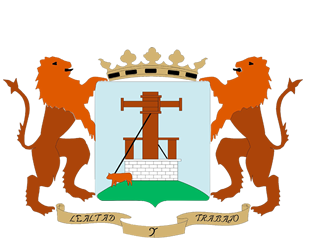 dam113 The list of trusted positions (posts) of the Municipality is published as well as the individual or collective amount of their remuneration. dam114 The complete list of Job Positions of the Municipality is published. dam115 The remuneration received by Senior Officials (elected positions at least) of the Municipality and the heads of the Entities in which it participates are published. dam116 The compensations received on the occasion of the abandonment of the charges are made public. dam117 The Register of Interests in Activities and Assets contemplated in the Law of Bases of Local Regime is published. dam118 The resolutions issued by the competent body on the compatibility of the private activities to be carried out by the posts are published. dam119 There is a municipal news module on the web. dam1110 News about the actions of the members of the government related to the rendering of accounts is published. dam1111 News about the actions of the members of the opposition related to the control of the government's management is published. dam1112 Declaration of the mayor's income is published. dam1113 The income statement of each Councillor is published. dam1114 An income declaration of the Freely Apoointed Positions or, as the case may be, of the temporary staff is published. dam1115 The Mayor's payroll is published. dam1116 The payroll of each Councillor is published. dam1117 The Payroll of the Freely Appointed Positions or, as the case may be, of the temporary staff is published. dam1118 Patrimonial and assets declaration of the Mayor is published. dam1119 Patrimonial and assets declaration of each Councillor is published. dam1120 Patrimonial and assets declaration of the Freely Appointed Positions or, as the case may be, of the temporary personnel are published. dam1121 The Mayor's Remuneration for attendance at plenary sessions, commissions and diets are published. dam1122 Remuneration for attendance at plenary sessions, commissions and diets of each Councillor is published. dam1124 The mayor's C.V. Is published. dam1125 The C.V. of each Councillor is published. dam1126 There is a link to the social networks of the mayor. dam1127 There is a link to the social networks of each Councillor. dam1128 The map of the municipal social networks is published. dam1129 The organization chart of the Municipality is published. dam1133 The Travel Expenses originated by the Mayor and by the Councillors are published. dam121 The different Governing Bodies and their functions are specified. dam122 The basic data of decentralized organisations, instrumental entities and municipal companies are specified, as well as the links to their websites. dam123 The List of Job Positions or Personnel Templates of the decentralized agencies, instrumental entities and municipal societies is published in full. dam125 The list of real estate (offices, premises, etc. ), both owned and under lease, occupied and / or attached to the Municipality is published. dam126 The number of official vehicles (own or rented) assigned to the Municipality is published. dam127 The list of assets of historical-artistic value and / or those of high economic value of the Municipality is published. dam128 The Inventory of Assets and Real Rights of the Municipality is published. dam129 Data are published on the mobile park of the Municipality: List of vehicles per year of registration, their use and approximate value. dam1210 Data are published about the mobile fleet of the public companies: List of vehicles per year of registration, use thereof and approximate value. dam1211 The annual allocations to the municipal political groups. dam131 The municipal ordinances are published. dam132 Agenda of the Municipal Plenaries prior to the celebration of the same. dam133 Minutes of the Municipal Plenary. dam136 The agenda of the meetings of the Government and the collegiate bodies is published prior to the celebration of the same. dam137 The minutes of the meetings of the Government and the collegiate bodies are published. dam138 The plenary sessions are broadcasted through the internet and / or there is a historical audio-visual archive online. dam139 The control questions, issued to the government by the opposition, are published. dam1310 There is a "Code of ethics or good governance" of the Municipality and it is published. dam1311 A Transparency ordinance exists and is published. dam1312 The judicial resolutions are published. dam141 Annual and multiannual Plans and Programs are published in which specific objectives are set, as well as the activities, means and time foreseen for their achievement. dam142 The personnel selection processes are published. dam143 The agreements or pacts regulating the current working conditions and collective agreements are published. dam144 The reports that make up the files for the preparation of the normative texts are published on the occasion of their publicity. dam145 Documents are published that, in accordance with the legislation in force, must be submitted to public information during its processing. dam147 A Strategic Plan for Gender Equality exists for the effective equality of women and men and it is published. dam148 The document and archive management policy is published. dam149 The current rules and procedures for the elimination of documents are published. dam1410 The identification of the persons that form part of the representative personnel bodies and the number of released union members, union to which they belong and the costs that these releases entail, differentiating salaries, material means, subsidies and other costs that may be generated. dam211 The schedules and prices of municipal cultural and sports establishments open to the public are published. dam212 Interested parties can follow online the status of the procedure and the incidents of the administrative procedure they have raised. dam213 The Sitemap of the Municipal's own website can be seen. dam214 It is informed on the Web about the situation and cuts in traffic, and / or incidents in municipal services. dam215 Updated information on the environmental situation (air pollution and acoustics) in the municipality is collected on the website. dam216 A space reserved for the different Associations of residents of the municipality is contemplated on the Web. dam217 There are discussion forums on the municipal website. dam219 There is a module on the institutional website that allows universal accessibility to the published information. dam2110 The transparency information is structured within the institutional website or the transparency portal. dam2111 All transparency information is indexed within the institutional website or transparency portal. dam221 The Strategic Plan (or strategic map) of the municipality is approved and is published. dam222 A Citizen Participation Regulation exists and is published. dam223 There are and there is information about the Municipal Committees of citizen participation. dam224 The composition and operation of the municipal Boards of District or Neighbourhoods of the municipality is reported. dam225 There are channels for citizen participation in strategic issues (Municipal Forums, Social councils of Urbanism, Citizen round tables for strategic or municipal plans, ...). dam226 Suggestions and citizen participation are made possible in the elaboration of the Municipal Budgets. dam227 There exists and there is information on a Charter(s) of municipal services, and the degree of compliance with the commitments established in them. dam228 There is a citizen attention office. dam229 There is an online office for citizen attention. dam2210 There exist mechanisms for collaborative regulation (e-rulemaking). dam2211 There is an open government, new technologies and citizen participation council. dam2212 There is a mailbox of the Mayor. dam2213 There is a complaints and claims mailbox. dam2214 There is a communication and municipal incidents tool (damages, repairs, etc). dam2215 The reports corresponding to the resolution of incidents are published through this tool. dam2216 There is an online tool or form that allows to request public information from citizens. dam2217 A periodic statistical report (at least annually) on these requests is published, specifying at least the total number and percentage of resolved, estimated, dismissed and inadmissible. dam2218 There is a tool or form that allows citizens to make proposals or requests to the governing bodies of the Municipality. dam2219 These proposals are published for public deliberation. dam2220 There is and is clearly identified an ad hoc body or department responsible for processing and monitoring the requests for access to information. dam2221 There is a Transparency Unit and its functions, the person in charge of the unit and the contact details of it are indicated. dam2222 Information regarding Accountability is published through a tool, or a viewer, that allows citizens to know the degree of compliance with electoral and / or government commitments during the legislature. dam311 The allegations made to the Budgets in the period of public information are published. dam312 The Budget Modifications approved by the Plenary are published. dam313 The budgets of the decentralized agencies, instrumental entities and municipal societies are published. dam315 The Indicator is published: Fiscal Autonomy (Rights recognized net of tax revenues / Total net recognized rights). dam321 The Indicator is published: Tax revenues per inhabitant (Tax revenues / Number of inhabitants). dam322 The Indicator is published: Spending per inhabitant (Net recognized obligations / Number of inhabitants). dam323 The Indicator is published: Investment per inhabitant (Net recognized obligations / Number of inhabitants). dam324 The Indicator is published: Average payment period (Obligations pending payment x 365 / Net Recognised Obligations). dam325 The Indicator is published: Average collection period (Rights pending collection x 365 / Net recognized rights). dam331 The amount of municipal public debt is published. dam332 Information about the evolution of debt compared to previous years is provided. dam333 The Indicator is published: Indebtedness per inhabitant (Required liabilities (financial) / Number of inhabitants). dam334 The Indicator is published: Relative Indebtedness (Municipal Debt / Total Municipal Budget). dam341 The Municipal Budgets are published, with a description of the main budget items and updated information on their status. dam342 The Annual Accounts / General Account of the Municipality are published (Balance Sheet, Economic and Patrimonial Result Account, Report, and Budget Liquidation). dam343 The Audit Reports and the Control Accounts are published by the external control bodies (Chamber or Court of Accounts), the Municipality and the municipal public sector entities. dam344 The Budget Approval is published. dam345 The Budget Report is published. dam346 The Consolidation Status is published. dam347 The financial economic report is published. dam348 The Budget Stability Report is published. dam349 The budget execution bases are published. dam3410 The annual public companies Accounts (Balance Sheet, Profit and Loss Account, Memory and Liquidation) are published. dam3411 Quarterly or half-yearly information on budget settlement is published. dam3413 There exists an Economic-Financial Transparency viewer where the budget data and its execution status are displayed in a graphical, clear and accessible way, and is understandable by the citizens. dam411 Information on the composition, manner of appointment and calls of the Contracting Boards is reported. dam412 The Minutes of the Contracting Boards are published. dam413 All contracting procedures are published in the contracting platform of the State, as established by the Public Sector Contracts Law. dam421 The list and / or the amount of transactions of the most important suppliers of the Municipality is published. dam422 The list and / or the amount of transactions of the most important successful bidders and contractors of the Municipality is published. dam431 All formalized Contracts are published, indicating the object, the amount of the tender and the award, the procedure used, the instruments through which, if applicable, the number of bidders participating in the procedure and the identity of the winners. dam432 Modifications of the formalized Contracts are published. dam433 It is periodically published (at least quarterly) the minor contracts formalized, at least in aggregate form (No. of contracts and lump sum). dam434 Statistical data are published on the percentage in budgetary volume of Contracts awarded through each of the procedures provided for in the legislation of public sector contracts. dam435 Information is published on the current regulations on public procurement. dam436 The list of the signed Agreements is published, with mention of the signatory parties, their purpose and, if applicable, the agreed financial obligations. dam437 Subsidies and granted public aid are published with indication of their amount, objective or purpose and beneficiaries. dam438 Management agreements signed by the entity are published. dam439 The administrative concessions signed by the entity are published. dam4310 The public expenditure made in institutional advertising campaigns. dam511 It has a visible section on the Web dedicated to Urbanism. dam512 The General Plan for Urban Planning (GPUP) is published. dam513 The maps and plans that detail the GPUP are published. dam514 The approved modifications of the GPUP are published (and are still published). dam521 Accurate information on the Urban Planning Agreements of the Municipality is published. dam522 Accurate information on the partial plans on land uses and destinations is published. dam531 Precise information of the current regulations in matter of urbanistic management of the Municipality is published. dam532 The projects, the bidding documents and the bidding criteria for the most important public works are published. dam533 The project modifications of the most important works are published. dam534 The minutes of the informative commission of Works and urbanism are published. dam541 The list of companies that have concurred the public works tender is published. dam542 The name of the companies that have carried out the most important urbanization works is published. dam551 Accurate information is provided on each of the most important infrastructure works that is in progress (Objectives of the work and municipal manager, responsible contractor (s), budgeted amount, execution period). dam552 The specific foreseen date for the completion of the most important municipal works (more than 500,000 euros) is published, or the specific date of beginning and the term of execution of said works. dam553 Information is disseminated periodically (at least semi-annually) about the infrastructure works carried out, and / or those pending execution (reports, communications, press releases, etc.). dam554 There exists some tool or viewer that allows to know the public works and infrastructures carried out, as well as data on the status, budget and evolution of the same. dam555 The Municipality has an online consultation system for cadastral geo-referencing. dam561 The Indicator is published: Investment in infrastructures per inhabitant (Expenditures for the year (executed) in investment in infrastructures / Number of inhabitants). dam562 The Indicator is published: Percentage of income derived from urban planning / Total income budget. dam563 The Indicator is published: Percentage of expenses derived from urban planning / Total expenditure budget. dam611 The data is published in open format. dam612 There is an open data platform.